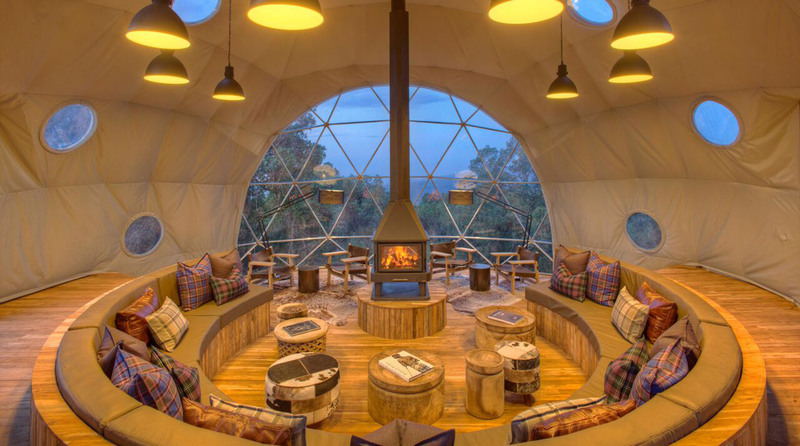 This low-impact camp in Tanzania is made up of eight domes that offer stunning views of Serengeti National Park. 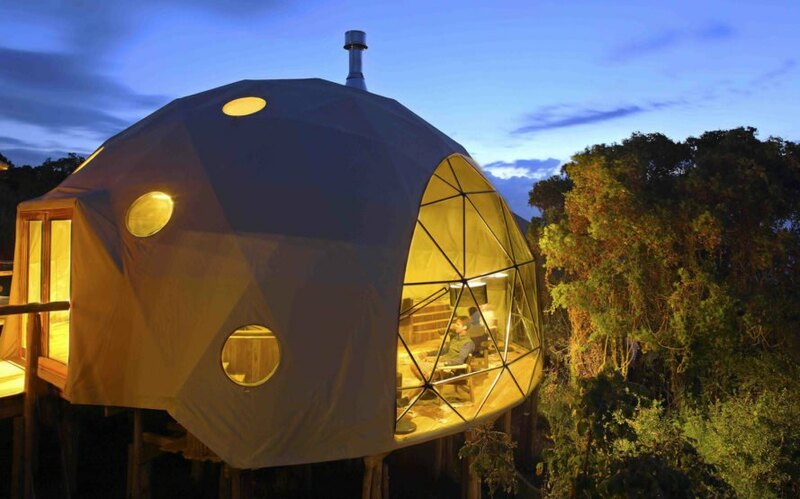 Asilia, an eco-tourism company offering exclusive, carbon-neutral camps and lodges across Africa, commissioned Caline Williams Wynn of design studio Artichoke to style the interiors of these geodesic igloos filled with furniture and objects inspired by vernacular design. The Highlands camp is located on the edge of the mountain forest around the Olmoti volcano and functions as the main base for visitors exploring the wild Ngorongoro Conservation Area in Tanzania. Until Asilia came in, the Ngorongoro Crater Conservation Area was used mostly by Masai herders. The remote, yet luxurious retreat comprises eight tents with sinuous Perspex windows that offer views of the surroundings and wildlife. Thanks to the sensible design and choice of materials for the dome-shaped tents, located 10,000 feet above sea level, the interiors stay warm even at night and provide comfortable temperatures throughout the day. Each structure features wood-burning stoves, hot-water bottles, Masai-inspired tartan cushions, ottomans and other objects that strongly reference the local vernacular. The Highlands camp is located on the edge of the mountain forest around the Olmoti volcano and functions as the main base for visitors exploring the wild Ngorongoro Conservation Area in Tanzania. Until Asilia came in, the Ngorongoro Crater Conservation Area was used mostly by Masai herders. The remote, yet luxurious retreat comprises eight tents with sinuous Perspex windows that offer views of the wildlife. Thanks to the sensible design and choice of materials for the dome-shaped tents, located 10,000 feet above sea level, the interiors stay warm even at night and provide comfortable temperatures throughout the day. Each structure features wood-burning stoves, hot-water bottles, Masai-inspired tartan cushions, ottomans and other objects that strongly reference the local vernacular.